Welcome to the 2019 Youth Section at TCCC. This season the club has decided to enter two teams into the BDYCL youth campaign. Temple Tigers will play in the under 11s 8 aside Barrington Rules and the 13s will play in 8 aside Barrington Rules. We have entered two teams to ensure that the children who moved out of the younger age group last season are able to continue playing and developing their cricketing ability. Match nights will remain Mondays for the U11s and Tuesdays for the U13s – In light of running two teams it has been necessary for us to obtain two more volunteers to look after the U11s , Alex COMER has kindly offered to take the reins, he will be supported by Simon CURTIS on match nights . Father HAYNE will umpire where he can and I’ll also be around. Steve RYIER and hopefully Dan LAKE will also help out on match day evenings with the warm-up routines and catching practices pretty much like they did last season however any help that any other parents can offer would be greatly appreciated. I will be looking after the U13s. I can’t do both so Alex and Simon’s input is now vital if the club are to be successful in running two teams. 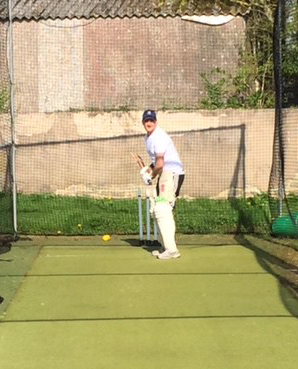 Our resident coach Reece is returning once again to take control of nets. Thereafter, league games will always fall on Mondays for the 11s and Tuesdays for 13s unless we have a cancellation agreed to played on another night. Matches are planned to start at 1800 with the proviso that we really should be under way by no later than 1815. All parents will receive a print out of both sets of fixtures at the enrolment evening and they will also be uploaded onto the Youth section in due course. The last few seasons have been very productive for the youth policy at Temple. It has taken time to re energize things but we are getting there. With your continued support and help on match day evenings I hope to see our little acorn grow, in time to half decent sized oak! Please continue to spread the gospel of TCCC to friends and family any new youth team players able to play U11s and U13s will be more than welcome, boys and girls alike. Remember, we remain a family orientated club. Enjoyment is our main aim. Over the last few seasons the club has forged friendships amongst all you that either play or who are parents who come along to watch. As a result TCCC is looking forward to resuming the fun, mayhem, camaraderie and BBQ nights that go to making Youth Team Cricket what it is. On an organisational note, if you have any concern over weather conditions, call Howie Wilton on 07510 370561 or landline 01761 416181, 1700 – 1730 on match day evenings. 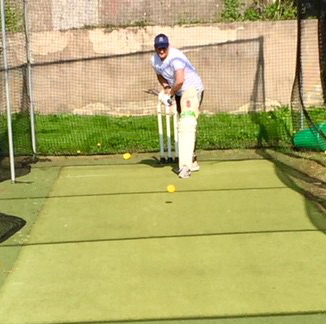 In advance of the new season, nets are up and running. All are welcome to attend on Thursdays from 6pm. New members will be made especially welcome. Thanks to all members who have worked so hard to get us up and running, ready for 2018. The ground looks fantastic. Thanks in particular to Tim Raisebeck, Steve Curtis, Father Hayne and Dan Raisebeck. 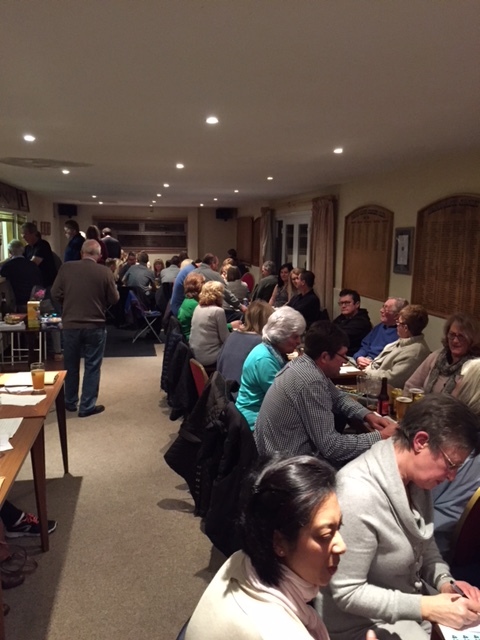 Thanks to the team that organised the quiz night. A well attended evening saw our lack of intellect cruelly exposed by Father Hayne’s use of Trivial Pursuit questions from 1982. Well done to the winners! Temple Cloud is a friendly club situated within 10 miles of Bristol, Bath and Wells. We have two senior sides. Our First XI is captained by Kevin Curtis and is a proud member of the West of England Premier League, Somerset Division. Our Second XI is captained by Simon White. This XI plays in the Somerset Cricket League Division 6 (North). 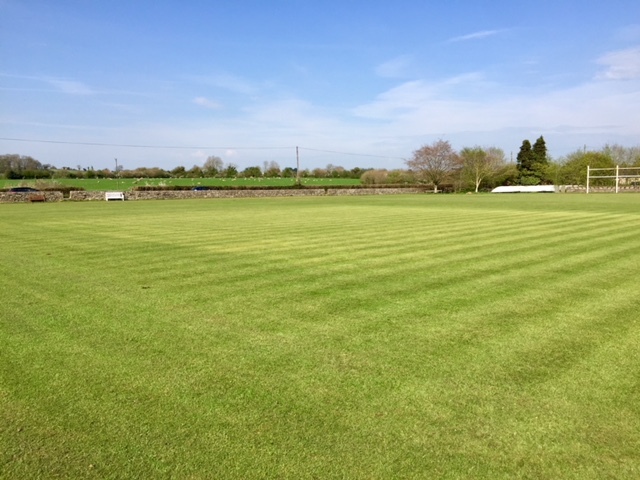 Our Saturday fixture list takes us to some of the very best grounds in the county and our own, home ground on Stowey Road is a superb place to play. The wicket is flat and even and the outfield shows the benefit of being carefully tended by our dedicated grounds team. Nets (using our grass pitches or excellent artificial surfaces) are very well attended on a Thursday evening and all new members are very welcome to come along. We have a bowling machine for those who really enjoy their practice. Youth cricket has always played an important role at TCCC and most of our players have played for Youth XIs in seasons past. We are currently running coaching sessions for young cricketers – click the ‘Youth Section’ tab above for more information. Our club is always on the lookout for new players of any age and with annual adult membership costing only £35 – it’s great value for money. Contact details are on the Contact Us page or please feel free to come to the ground at Stowey Road; the bar is always open and the kettle is always on! Boycott and Edrich (India 1968). Richard being introduced to the concept of reading. Father Hayne speaks of Gordon’s contribution to TCCC.